ONTRAPORT’s Visual Campaign Builder was introduced in June and became one of the most popular features inside of the system. It’s versatility and ease of use mean that you can do virtually anything with it. Apart from building and tracking single campaigns, you could use ONTRAPORT‘s visual builder to create an overview of your marketing system and track results. We call it a system overview. What is a system overview ? The System overview takes into account the main entry points of your funnel and the top-level actions that follow afterwards. It won’t show you each email, tag or step. 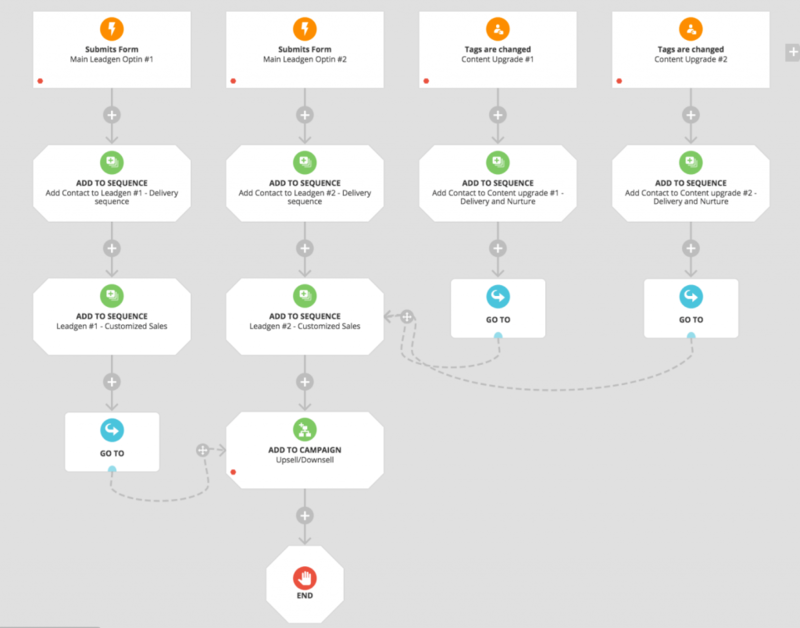 It will give you the opportunity to track how people are moving through your funnels and if there are some issues with one of the campaigns you have. The main goal of such an overview is to serve as a reporting instrument. You can print it and attach it in your monthly reports. In addition, this is a great way to keep a track of your funnels – entry points, upsells, downsells… it could get complicated pretty fast if you don’t have one centralized place to keep track of them. Building such a map seems like an easy task, but there are some pitfalls that we’ve identified. You can use a template provided by the ONTRAPORT team, called Example: High Level Customer Lifecycle. Make sure you customize it to your business. Below we’ll cover how to make your own system overview campaign from scratch to create a different version. This version works best if you have many product you want to track. Usually you won’t need to map a campaign before you build it in ONTRAPORT. But this time it’s crucial to make sure you know all the connections between the elements. This would save you literally hours of your time when you start building. You could also use a tool like Lucidchart if you already have it. A lot of times people try to build everything into 1 enormous map. This doesn’t work well. There would be so many elements to keep track of, and dependencies, that you’ll get crazy before you complete this campaign. Keep it simple – this is a great tip for all your other standard campaigns too. Use nested campaigns to deliver a series of emails. What are nested campaigns? 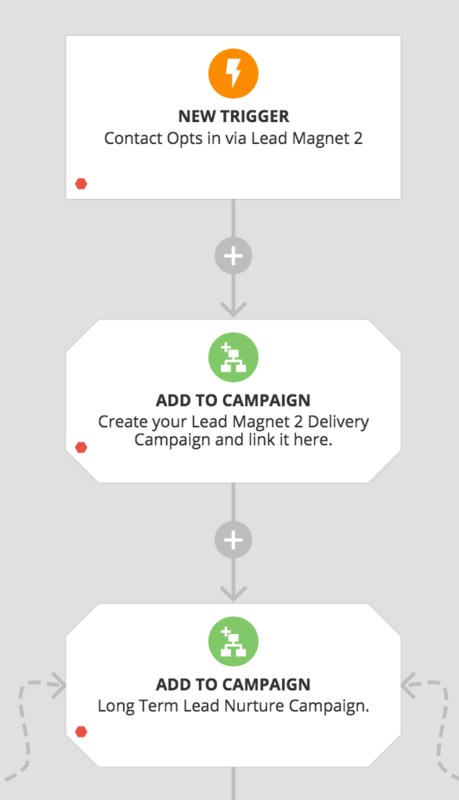 – when inside one campaign you add an element to send a contact to another campaign. The person will finish the nested campaign first and then return at the right place in the bigger campaign. Here is an example – you’d usually start with your lead acquisition triggers. When someone requests to download an ebook, send them an email + some follow up emails. Instead of adding all emails as separate elements, put them in a campaign. The add the nested campaign below the trigger. 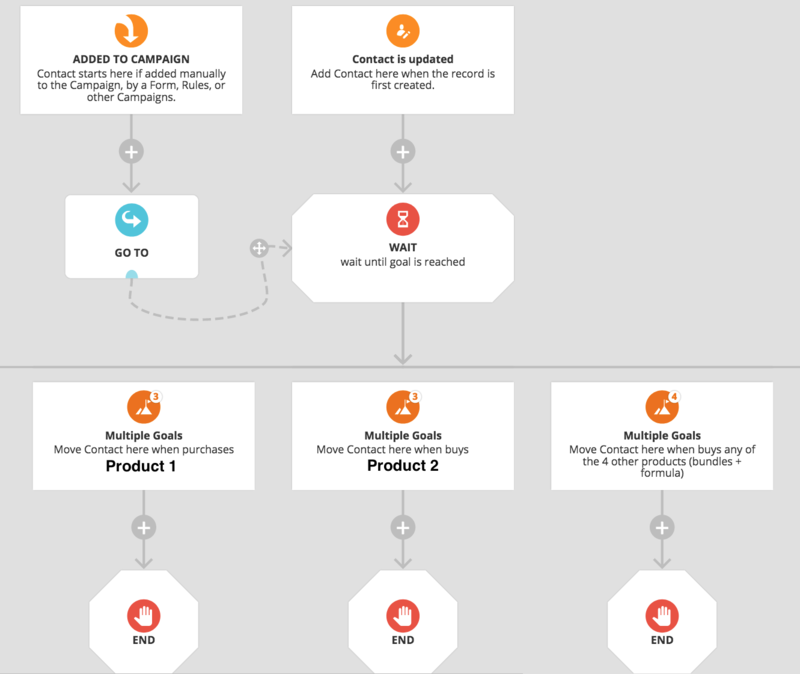 This is how a funnel system overview could look like for 2 main leadgens and additional content upgrades + sales and upsell sequences. Nest all goals under one trigger. Don’t place them inside of the funnel (unless needed). Something you need to keep an eye on in your goals – make sure your goal has the right setting. When building a standard campaign, you’d like a contact to be moved immediately to the goal and cease all other steps. But we suggest in such campaign to use the setting “Ignore this goal”. 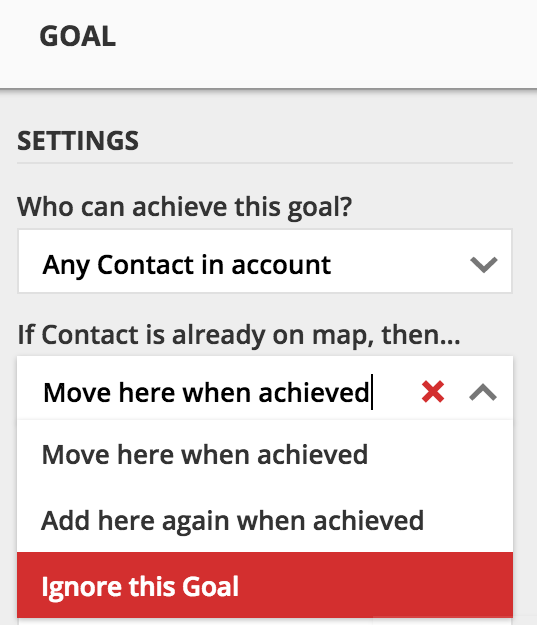 This will allow you to do some additional customization and track when other goals in the overview campaign are achieved. This is by far my favorite type of campaign to build in any client account – it’s easy, comprehensive and gives enough information and value. There can be a number of benefits for your business, but we want to focus on the top two. If you create one major map of your marketing funnel, it will be much more easier to track how your leads are going through it. In addition, we really like the opportunity to update and upgrade your funnel in one single place while still keeping your campaigns separate. Once you publish this system overview campaign, you will be able to see at a glance the conversion rate for all your products. Using the Performance view in the campaign, you can identify the value that each marketing source provides, the conversion rates, how valuable are the customers coming through referrals and ads, etc. This type of system overview will allow you to make better business decisions – allocate more budget to the sources that are driving the most customers, identify marketing black holes that are just leading vanity metrics and no sales, figure out the customer lifetime value for each product. If you’re interested in learning more about how Ontraport campaigns can help you manage your business and make faster decisions, let’s chat. We’ll be happy to help you find the right strategy and implement it with Ontraport.